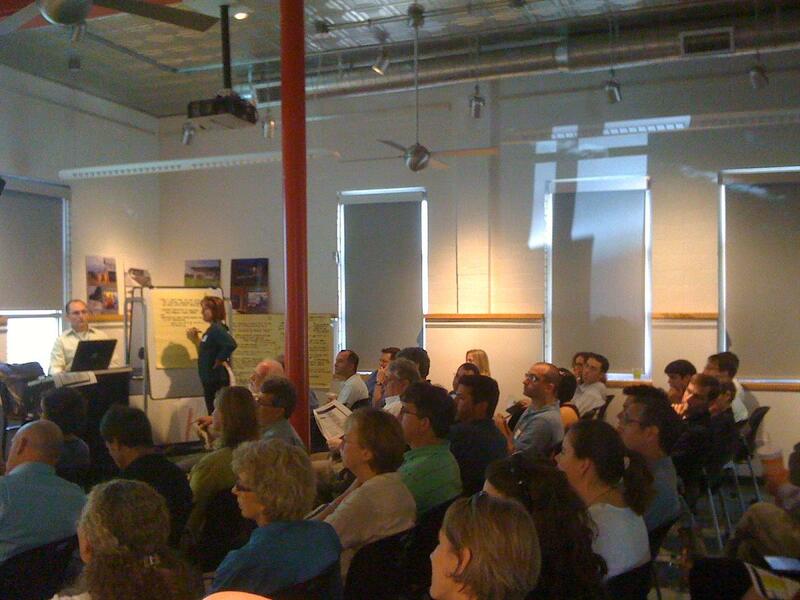 Last week, AIA members packed the room to offer professional insights into the problems and opportunities of the Commercial Design Standards ordinance, "Subchapter E"
One of AIA Austin's core missions, in alignment with national AIA policies, is to promote exceptional, sustainable design in terms of the community, the site and the building. It is important for us to be involved in helping the City of Austin formulate policies and codes affecting the built environment. One of the central ordinances that shape commercial development in Austin is Subchapter E: Commercial Design Standards. AIA Austin Member Paul Detke's work through the Urban Design/Government Affairs (UDGA) Committee has compiled a draft of Meeting Notes and Reports from multiple organizations and presented this draft at our Commercial Design Standards Forum. These recommendations have not been approved, so this is the time to submit your input. Our goal is for AIA Austin, as a stakeholder organization, to present an advocacy document for City staff's consideration. If you were not able to attend the Forum, please contact Paul Detke to get added to the list for future meetings. His contact info is on our Urban Design and Government Affairs committee home page.